Published on December 24, 2008 December 24, 2008 by . Jesus studied yoga for many years before his divinely ordained mission to spread the light of God the Father. Through intense prayer and meditation Jesus rose above the ordinary level of human consciousness to attain a state of self realisation or God Realisation. Jesus no longer identified with the body and ego. He became one with the Universal “Christ” consciousness. It is from this perspective of God realisation that he was able to proclaim “I and my Father” are one. Through his spiritual realisation Jesus Christ became unconditionally surrendered to the will of God. The highest prayer offered by Christ was his immortal “Thy will be done”. To say this prayer is easy, but to live and embody this constant surrender to God’s will is not possible unless one can feel the inner promptings of God at all times. When faced with his most testing experience of betrayal and execution by torture Jesus faced his fate with equanimity and acceptance. There were many occasions when he could have avoided the most awful fate, but he was willing to accept his fate for the fulfillment of the Divine plan. On the physical plane, Jesus performed many miracles and many take this as a sign of his divinity. But a spiritual master like the Christ performed countless more miracles on the inner plane. To be healed from physical pain is good, but the real miracle is to raise a person’s consciousness. Where there was discord, doubt and fear Jesus Christ brought down into the earth a consciousness of peace, light and bliss. According to people’s receptivity they were able to receive from Christ this light and bliss. It is this divine and ever present consciousness that humanity has treasured and valued for so many years. Jesus Christ was the embodiment of real divine forgiveness. One can never fully appreciate the inner workings and consciousness of a spiritual master like Jesus, but, through the recorded Gospels, we get a glimpse of his magnanimity and inner divinity which brought forward his infinite forgiveness. Betrayed and dying on the cross. Jesus offered the most significant prayer to his own enemies. “Father forgive them, for they know not what they do” Jesus was God in human form. He embodied the highest transcendental consciousness but at the same time he identified with the ignorance of suffering humanity. A natural human instinct is to criticise those who torture us. Jesus was able to go beyond this view to realise people were acting through layers of ignorance. 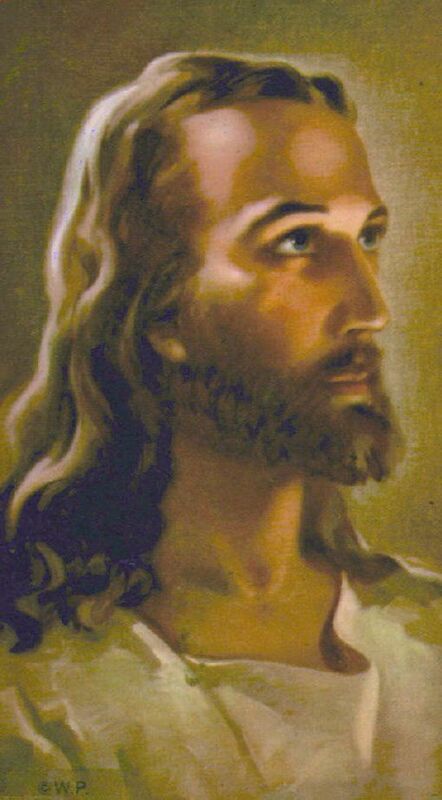 Even in the most evil acting people Jesus was able to see their inner divinity. Ceaselessly he worked and prayed for this divinity to be brought to the fore. For the upliftment of the earth’s consciousness Jesus gladly and unconditional accepted both physical and psychic suffering. His crucifixion is the most obvious and visible expression of his suffering. A most torturous and painful death, but as the mother of Jesus commented; every day of his life on earth Jesus took on the suffering of humanity. It is through his identification with others that he became one with their suffering. In particular he took on the karma or sins of his disciples. Jesus lived on earth only 33 years and of those years only a short period are recorded in the new testament. Yet during this short time period he was able to reshape the course of history and accelerate the spiritual evolution of the earth. His words are immortal utterances for the guidance of human moral and spiritual values. His life embodied the descent into human form the highest transcendental consciousness. To live and act the teachings of Jesus Christ is to enable a human ascent into our own inner divinity. I’m surprised there haven’t been more comments about this. Seems like the sort of thing people should be discussing every day. We just don’t have that much meaningful dialog anymore.